Like a lot of little girls, I grew up playing with Barbies. I don't recall a moment where I distinctly thought "wow, all my Barbies are super skinny and I don't really look like that" and to say that Barbie's freakishly unrealistic measurements had a profound impact on my life would be a lie; however, as young adult, I was able to begin to critically think about the collective impact of being constantly bombarded with a body image I would never be able to obtain no matter how hard I worked or how well/little I ate. It's not Barbie's fault, she's a convenient scapegoat, it's literally EVERYwhere. Lucky for me, being white, it wasn't hard to see myself represented in the toys and media; however, that's certainly not the case for everyone. Imagine growing up with all these images of "beauty" and not seeing anyone (or very many) who look like you? Having a little girl, I worry about how to ensure she's confident regardless of what her body looks like. I want her to want to be happy and healthy and not feel pressured to look or be a certain way just because society tells her that's the 'ideal'. 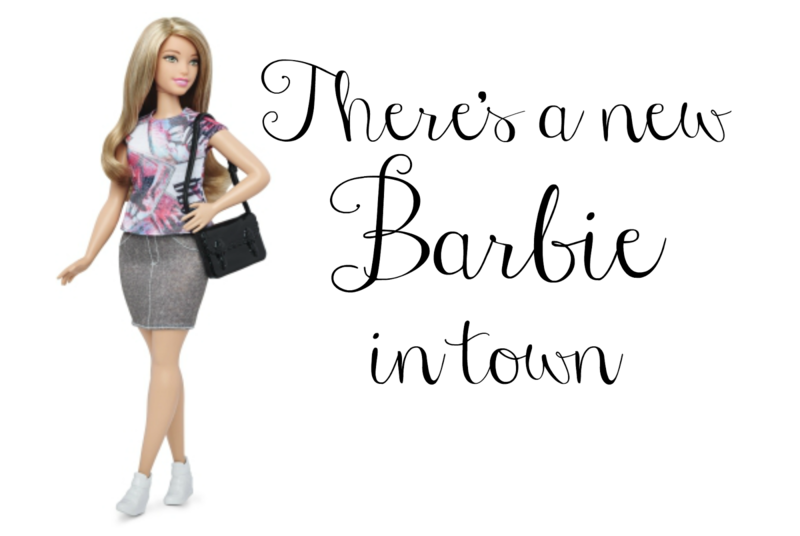 I was happy to catch a news segment this morning announcing that Barbie's getting a new body, 3 new bodies in fact!AND will come in 7 different skin tons. 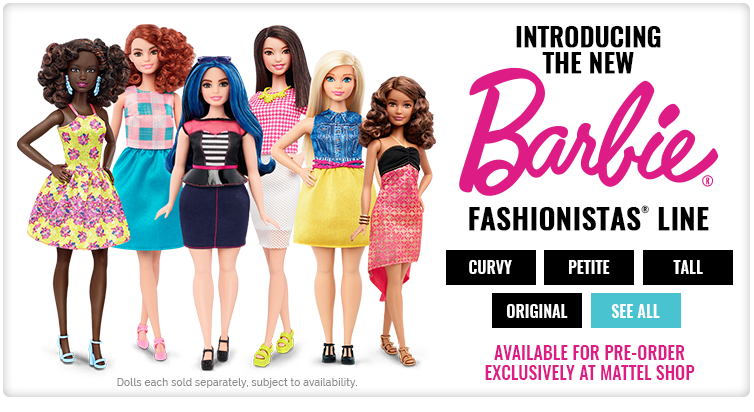 Mattel is currently taking pre-orders for curvy, petite, tall and original Barbies. The new Barbies will also come in 24 hairstyles and 22 eye colors. (yes, you read that right: 22 eye colors. There are 22 eye colors?!?!). Do I think this is going to change the number of girls growing up feeling insecure about their bodies? No, not likely BUT it's a step in the right direction. Do I think Mattel did this so that more little girls can see a version of themselves reflected in the toys they play with? No, I think it's an effort to fight declining sales BUT children will reap the benefit in the long-term and that's a good thing. I don't think this is going to solve the problem of pressure around the female body but as I said, I think it's a step in the right direction. I hope the dolls are popular because other companies will be quick to follow suit IF it proves profitable (sadly, it's all about the mighty dollar). The more little girls are able to be exposed to different bodies (in toys, media etc), ideally the more comfortable and confident they will be in their own. What do you think of Barbie's new body? Would you buy one (or more) for your little girl?